In the last couple of years the main influence on the beauty industry has undoubtedly been what’s been going on in Korea, Japan and China. 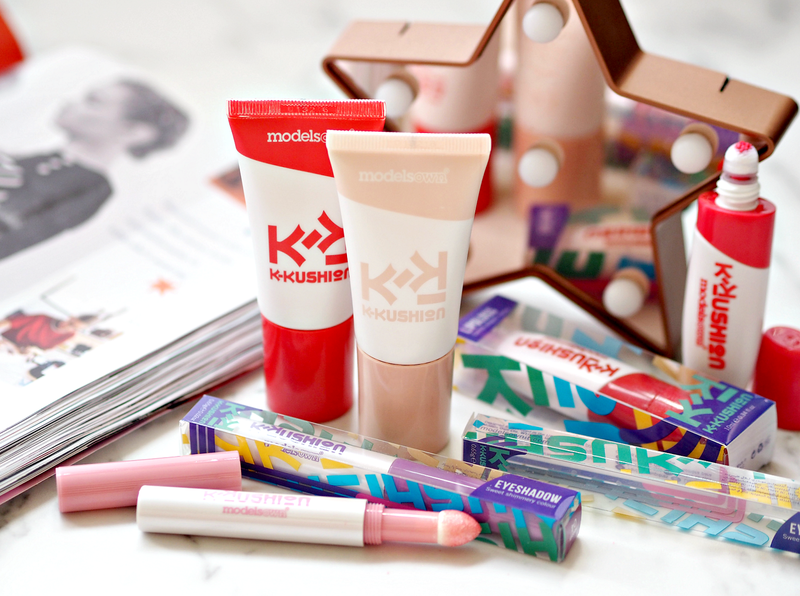 Their innovative formulas, unusual textures, revolutionary applications and bold packaging has left us intrigued and wanting more; we simply can’t get enough of anything that looks cute, feels fun and generally makes beauty more interesting, so it’s no surprise it’s filtering down and influencing even the most British of brands. Models Own are possibly one of the most successful makeup brands in our recent history, but I have to admit many of their collections leave me underwhelmed. They’ve got a formula that works and they rarely divert from it, but that does leave a bland taste in my mouth that makes it hard to get excited about a new launch; however, with K-Kushion they’ve certainly peaked my interest as a collection that’s genuinely worth the investment and incredibly on-trend. 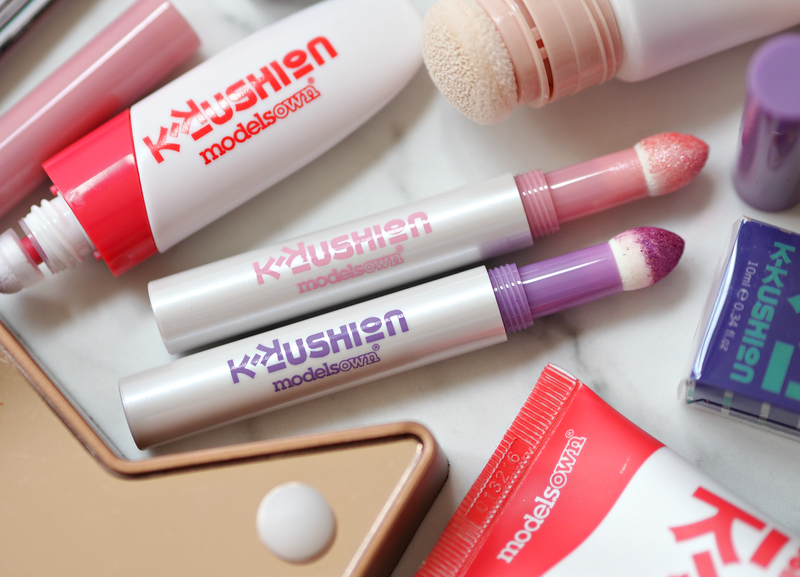 Inspired by the look and feel of products from the Far East, K-Kushion includes eyeshadows, lipgloss, blush and a highlighter that all utilise a cushion-esque application technique that ensures a pigmented, soft and beautiful finish. The eyeshadows are available in a multitude of colours (even if they’re probably a little bright and bold for the majority of us,) and utilise a cap-pigment technology which loads the applicator sponge with product when it’s closed. Thanks to the soft tip and relatively absorbent sponge, the pigment glides over skin and leaves a beautiful finish that’s akin to a subtle blended look; I wish they did these in some more wearable shades! Additionally the lipglosses provide a really smooth and even application to lips (just make sure you buff them before and add a tiny amount of balm to ensure the cream doesn’t sit in creases or dry patches,) while the cushion applicator provides a really sensorial experience; the benefit of this over a traditional wand is a much more ‘airbrushed’ finish that’s also incredibly precise. 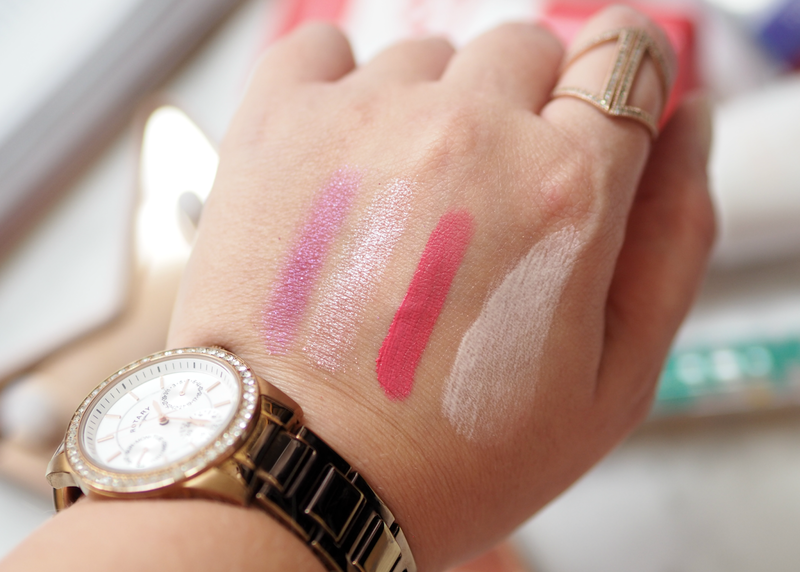 I’ve seen these kind of applicators before (namely in the L’Oreal Infallible Matte Max Lip Pens I mentioned here, as well as Sephora’s own brand lip blushers,) but it’s the first time a brand has adopted them as such a big part of a collection. Models Own have also included a beautiful blush and incredibly subtle (yet still stunning) highlighter, which both harness the cushion applicator in a bigger format. Although I love the texture and result of both, the bottle is actually only about a third full – meaning it’s hard to get product out and it looks almost empty as soon as you start using it. That’s my only real gripe with the whole collection, as the products are such great buys and translate the trend into the British market with ease. While not everyone will get on-board with sheet masks, beauty drinks, EE creams or hair plants, this is a way we can all buy into the Korean trends without diverting away from the results we require on a daily basis. I wouldn’t be surprised if this was one of the best selling collections for Models Own this year – because, lets face it, we call get bored of another smokey palette – and I hope they add more to it in the future. A worthy buy, especially as it starts at only £5.99. 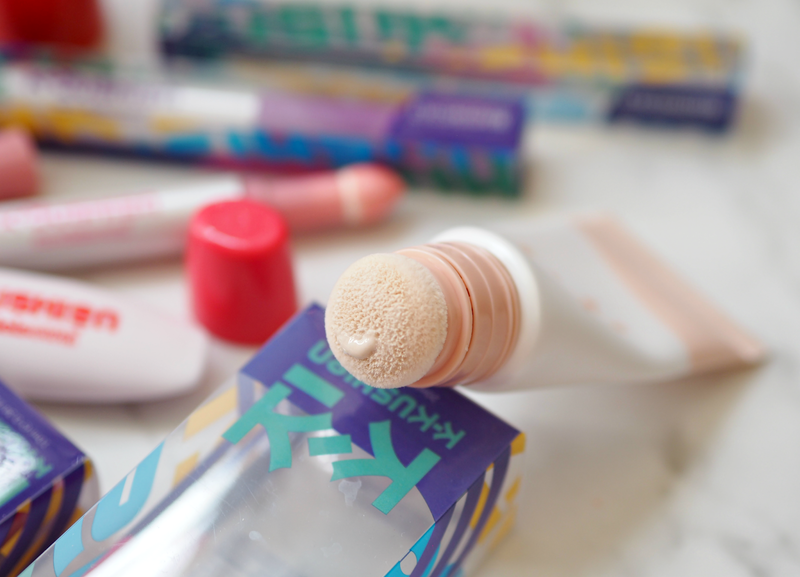 Does the K-Kushion collection appeal to your inner makeup maven? 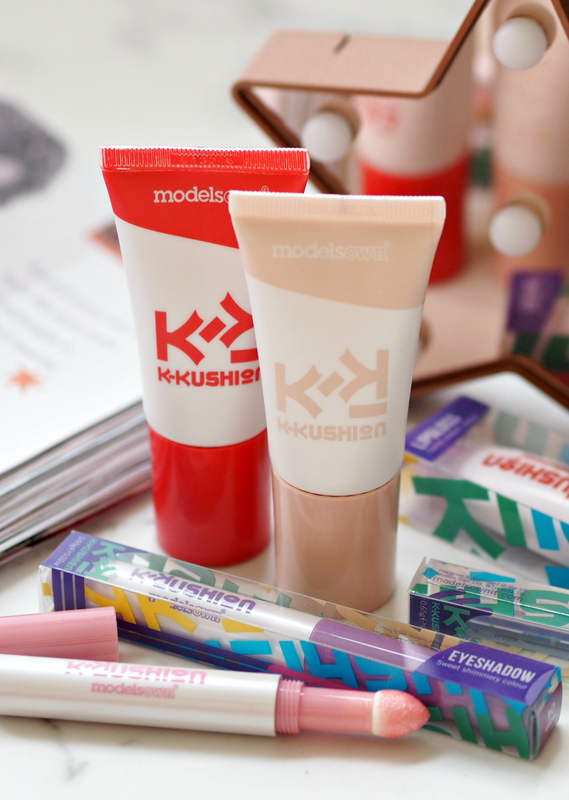 The Models Own NEW K-Kushion Makeup Collection launches on 18th October, with prices ranging from £5.99 to £7.99. You'd think they'd make it hard – but they're actually much easier! It's a great one for budget buys. Get yourself to Boots this weekend! I was quite disappointed with their eye palettes – everything was spot on except for the performance of the shadows. But this new collection looks quite exciting. They really reinvent themselves as a brand this year, I think. Even if they had some make up items, nobody really knew anything more than their polishes.